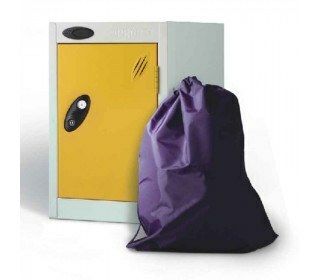 The Probe Quarto Storage Locker has been designed for use in schools, with space being an issue. 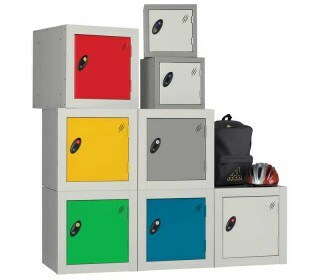 Offering 5 different types of locking mechanisms, 3 body colours, 7 door colours and optional sloping tops and stands! Available in different depths to suit your storage capacity needs. 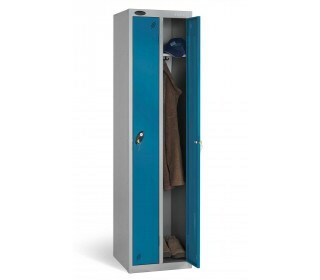 The Probe Low Height 1 Door Steel Storage Locker has been designed for a single user infant to store personal belongings and coats. 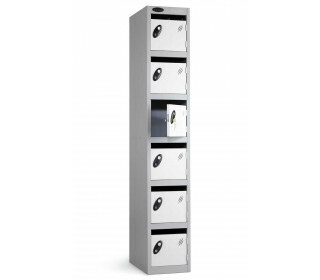 Offering 4 different types of locking mechanisms, 3 body colours, 7 door colours and sloping tops and stands! 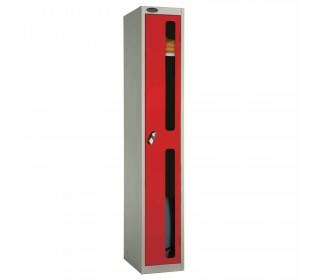 This Probe Shockbox Laminate End Panel is designed to be placed on either side of a Shockbox locker. 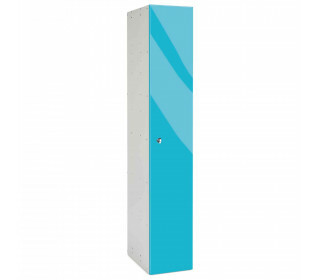 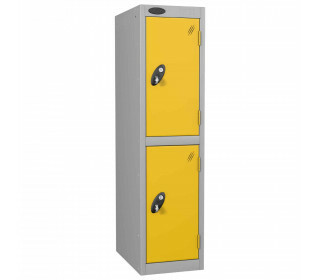 Available in 7 solid grade laminate colours and a further 9 for special order to match the ShockBox of your choosing giving the locker a beautiful finish. 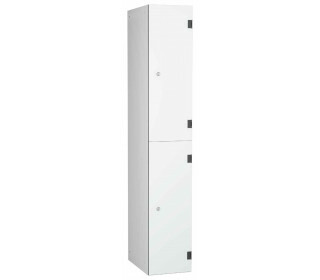 The Probe Low Height 2 Door Steel Storage Locker has been designed for two infant users to store personal belongings and coats. 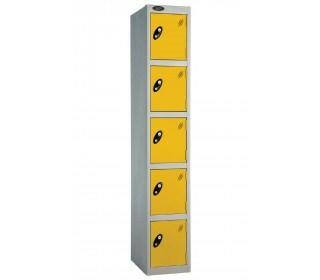 Offering 4 different types of locking mechanisms, 3 body colours, 7 door colours and sloping tops and stands! 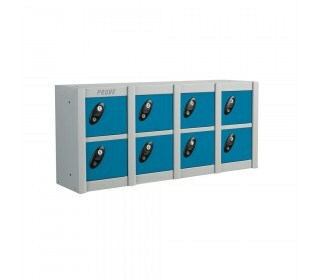 This Probe Satin Laminate End Panel is designed to be placed on either side of a Buzzbox locker. 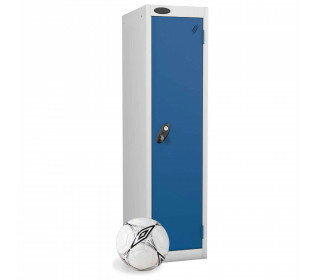 Available in 5 satin MFC laminate colours and a further 10 for special order to match the BuzzBox of your choosing giving the locker a beautiful satin finish. 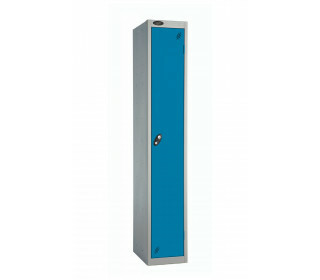 This Probe Steel Locker has been designed for two users for multi-purpose storage needs. 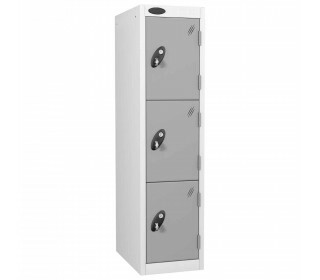 Included in each locker compartment is a central twin coat hook plus there is a choice of locking options - Key or Padlock Hasp or at extra cost Combination, Digital and Coin Operated. 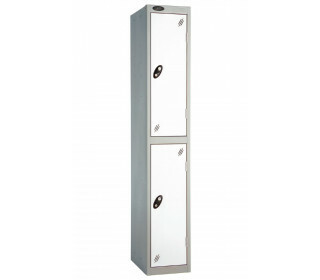 This Probe Steel Locker has been designed for three users for multi-purpose storage needs. 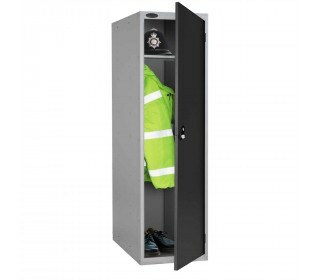 There is a choice of locking options - Key or Padlock Hasp or at extra cost Combination, Digital and Coin Operated. 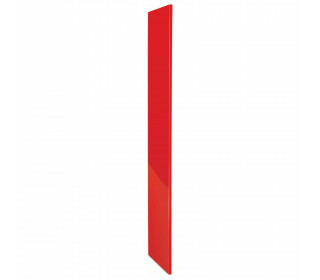 Low Height Probe Laminate Inset 2 Door Locker for Junior Schools and where there is a limitation on height - This extra strong locker has 10mm Solid Grade Laminate doors with extra strong hinges - strength to withstand the stresses of school use.